"Secretary of State Michael R. Pompeo is publicly designating the following individuals for their roles in the murder of Jamal Khashoggi … those individuals and their immediate family members are ineligible for entry into the United States", the Monday release said, referring to Khashoggi’s murder at the Saudi consulate in Turkey in October. The list included the following 16 names: Saud al-Qahtani; Maher Mutreb; Salah Tubaigy; Meshal Albostani; Naif Alarifi; Mohammed Alzahrani; Mansour Abahussain; Khalid Alotaibi; Abdulaziz Alhawsawi; Waleed Alsehri; Thaar Alharbi; Fahad Albalawi; Badr Alotaibi; Mustafa Almadani; Saif Alqahtani; and Turki Alsehri. 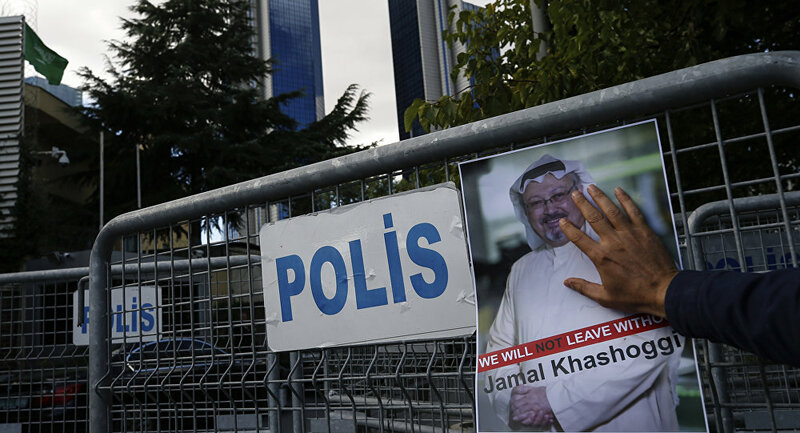 The US-Saudi relationship has been strained since Saudi operatives murdered Khashoggi, a Washington Post journalist and US resident, inside the nation's consulate in Istanbul last October. US intelligence agencies have reportedly concluded Saudi Crown Prince Mohammed bin Salman was involved in the murder. An internal Saudi investigation led by bin Salman resulted, however, in the arrest and trial of 11 participants in the killing, while absolving bin Salman of any responsibility. Khashoggi, who was a well-known critic of Saudi policies, went missing last October after he entered the Saudi consulate in Istanbul. Riyadh initially denied any knowledge of the journalist's whereabouts, but eventually five of the Saudi officials accused of involvement in in his murder admitted that Khashoggi had been drugged and killed and his body had been dismembered, according to Riyadh's public prosecutor. The Istanbul Prosecutor’s Office said the assassination of Khashoggi had been pre-planned, while a UN probe concluded that Saudi government officials carried out the murder.